Edgar Wright is planning an untitled horror flick! In a recently published interview, Edgar Wright shed the light on some of his upcoming projects. Indeed, he is currently working on a horror flick as well as on a film sequel to ‘Baby Driver’. Though currently untitled, new details have emerged about the horror flick being worked on by Edgar Wright. It will reportedly be inspired by two classics, ‘Don’t Look Now’ and ‘Repulsion’. Furthermore, the film will take place in London, more particularly Soho, where the English filmmaker spent over 25 years. Aside from Edgar Wright who will direct, a screenwriter has already been found for the horror flick. Krysty Wilson-Cairns has therefore been attached to the project. She is mostly known for having worked on ‘Penny Dreadful’ and ‘1917’. Additionally, it has also been mentioned that the principal protagonist will be female. As well as revealing information about the horror flick, Edgar Wright mentioned another movie that is underway. Indeed, since the success of the first chapter of ‘Baby Driver’, a sequel has been planned. The movie, starring Ansel Elgort, garnered $226.9 million internationally from a $34 million budget. The English filmmaker further stated that a first draft of the script is ready. 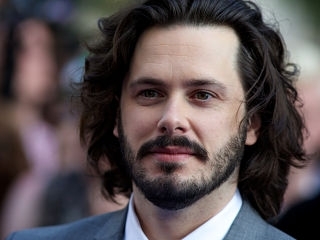 Being not only a director, Edgar Wright has previously penned numerous scripts for popular movies. His credits include ‘The Adventures of Tintin’, ‘Scott Pilgrim vs. the World’ and ‘Ant-Man’ which he co-wrote with Joe Cornish.